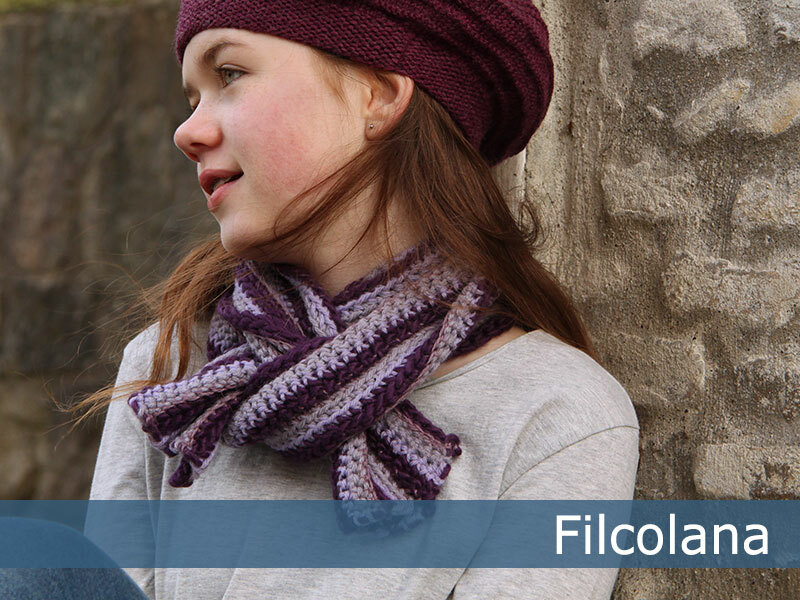 This striped scarf is very fast to crochet. 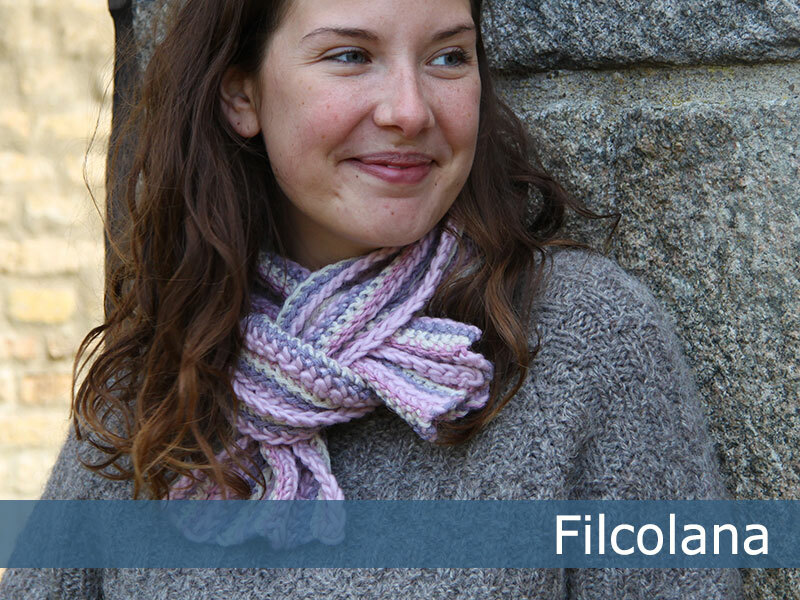 The combination of 3 different yarns in different textures gives interest to the simple, soft and warm scarf. The scarf can be worn double around the neck or hang loose and fits perfectly with a winter jacket. 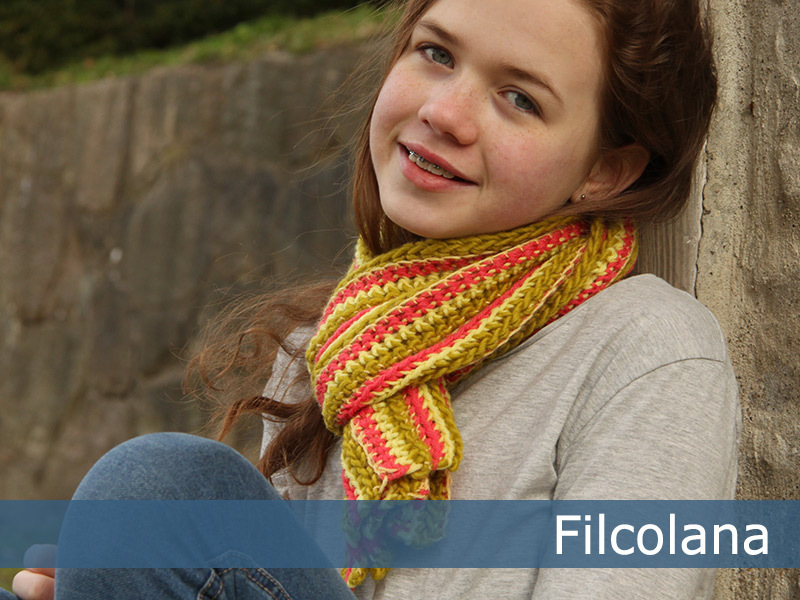 The scarf can be used by the entire family – just choose their favorite colors.